Nebraska follows the curmudgeonly and constantly befuddled Woody Grant (Bruce Dern) as he struggles to make it to (you guessed it) Nebraska with his son David (Will Forte). Woody's mission, should the reluctant David choose to accept it, is to claim $1,000,000 he believes he's won through a sweepstakes. Along the way, Woody and David get waylaid in the former's old stomping grounds, a place where secrets and greed are revealed. That probably makes the movie sound a lot more serious than it actually is. 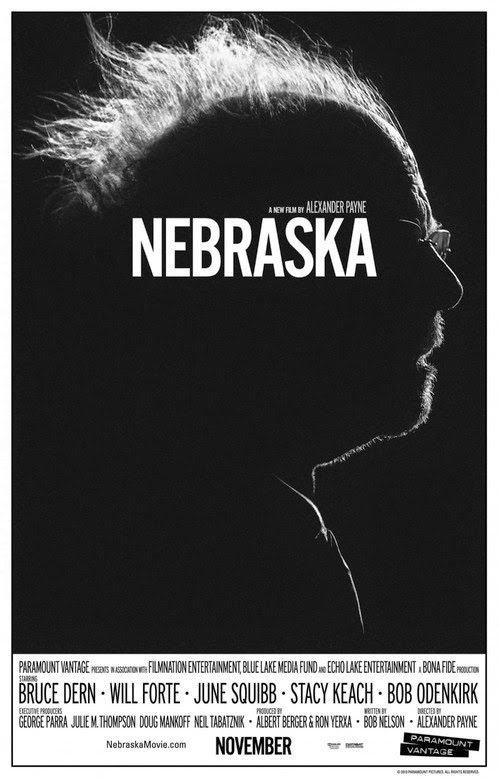 In reality, Nebraska is a relatively light film about family: the pressures of it, connecting with it, and coming to appreciate it. 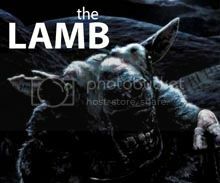 Luckily, director Alexander Payne and his crew assembled a great cast to tell this seemingly insignificant story. Dern and Forte have near perfect chemistry together, which might surprise anyone unfamiliar with Forte's non Saturday Night Live work (i.e., most everyone). Woody sounds like a walking contradiction - amenable but stubborn, giving yet cantankerous. But Dern somehow pulls that off. Forte is great because he seems genuinely interested in his father and his past, as interested as his father is disinterested in everything but his $1,000,000, in fact. June Squibb as Woody's wife and David's mother Kate is also great, the kind of woman who henpecks her husband incessantly and flashes the graves of former would-be suitors but provides a sweet and protective matriarch for her family nonetheless. Bob Odenkirk as David's brother Ross and Stacy Keach as Woody's old "friend" round out the great cast. With Woody's real motivation revealed (he wants to give the money - except enough to buy a new truck and an air compressor - to his sons), he and David finally make it to Nebraska. And it's revealed that, no, of course they didn't win $1,000,000. You might think Woody would get angry, but that would be out of character, really. He reacts exactly as he should, and the same way as when he discovered that he "won" $1,000,000 in the first place - with acceptance. And it's no great loss, since, on the way home, David trades in his car for a new truck (Woody's name is on the title, but David gets to drive it) and picks up a new air compressor as well. But what about David and Ross' inheritance, though? That's the thing about family, Nebraska tells us - it's its own reward and worth far more than $1,000,000.